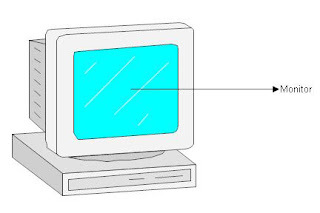 In my previous post I discuss about computer input devices and now I am discussing "What are computer output devices?Explain its different types with examples". Output devices are those devices which display the required result or in simple words which display the output of the final result.Output devices provide the output of data/information. 1)Soft copy output(Which is present in digital form in a computer). 2)Hard copy output(Which are present in paper form). 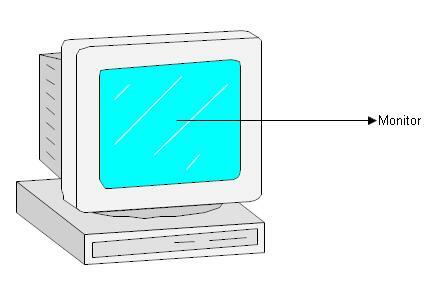 1)VDU:-It stands for Visual Display Unit.It may be a screen or a monitor.Monitor is like a TV screen(it can be plasma,LED,LCD).Resolution of monitor depends on the number of pixels per inches. document etc. 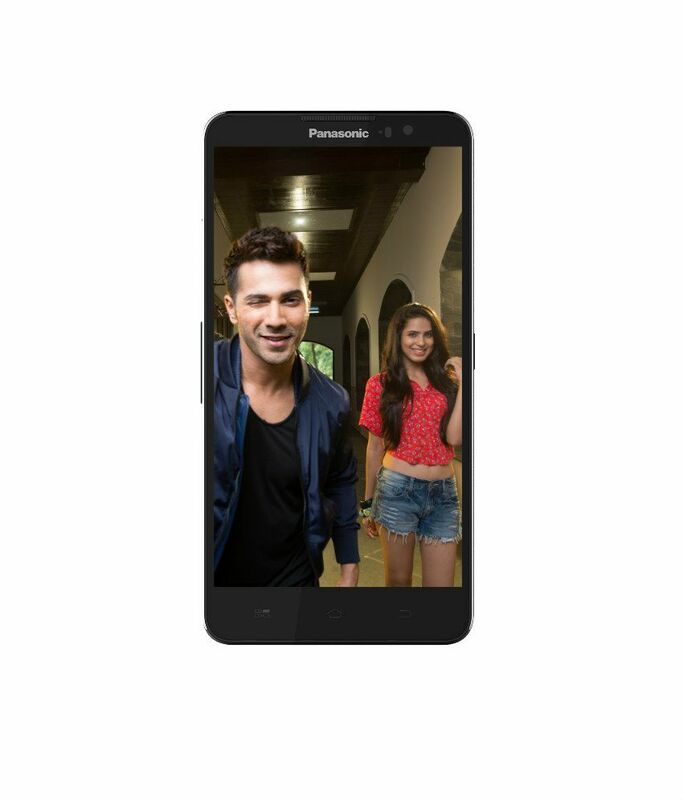 on the screen. 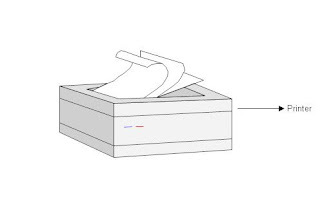 2)Printer:-Printer is an output device which is used to show result in hard copy form or in paper form. Printer generally divided into two types namely Impact and non-impact printer. 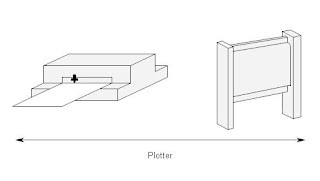 1)Impact Printer:-In these type of printer hammer strikes against the paper through ribbon.Printing quality of impact printer is not good,it create noise while printing example dot matrix,daisy wheel etc. 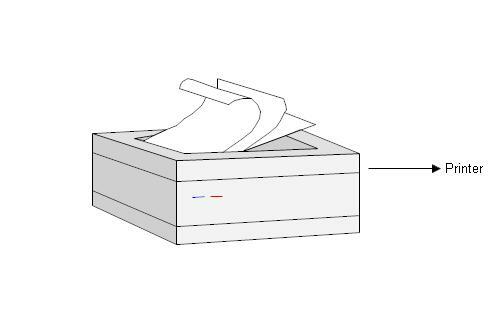 2)Non-Impact Printer:-In these type of printer hammer doesn't strikes against the paper through ribbon.Printing quality of impact printer is good,it doesn't create noise while printing example laser printer,ink jet printer. 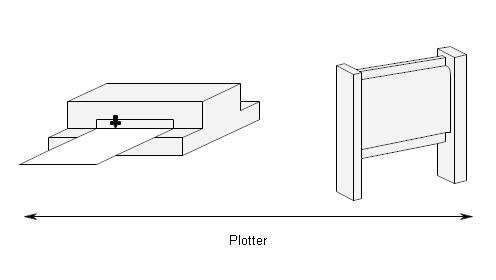 Plotter:-Plotter is a well known output device which produce high quality graphics in multiple colour.Plotter is used to create maps,charts etc. on a paper sheet. Voice synthesiser,video adaptor,speech synthesizer,projector etc. You may also like:-What are computer output devices?Explain its different types with examples. 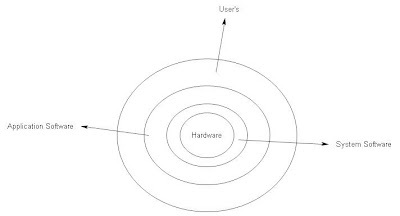 Input devices are those devices which takes input from user's in the simple form and convert the data/information into digital form i.e. 1 or 0. 1)Online input devices/Direct line entry devices:-On line input devices are those devices which are directly connected to computer example keyboard,mouse etc. 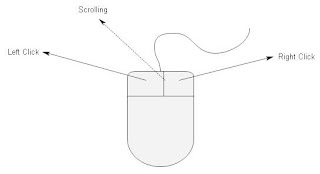 2)Offline input devices/Source entry devices:-Offline input devices are those devices which are not directly connected to computer example scanning device. 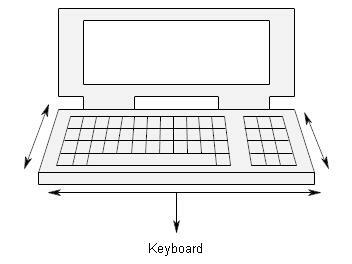 1)Keyboard:-Keyboard is a well known input device which contains alphabets,numeric/digits,special keys,function keys etc.Keyboard can be of serial or parallel. Alphabets:-A to Z,a to z. Keyboard is used to convert these above mention keys into digital form of computer. 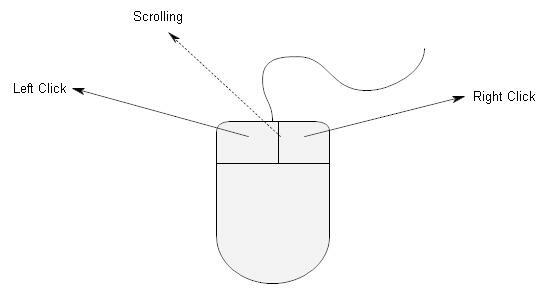 2)Mouse:-Mouse is an input device which is also called a pointing device.It is used to move the cursor on the screen.Mouse works in GUI(Graphical User Interface) mode.Mouse are of different-2 types in which some are physical mouse,optical mouse,cordless mouse. 3)Joystick:-It is also called as game controller device.Joystick is a remote control device which is used in gaming purpose.We will also play game with keyboard but joystick gives more simplicity and more speed than keyboard. 4)Scanner:-Scanner is a example of input device which are mainly used to check OMR sheets.It is also used to copy text,images in the form of soft copy. 5)Bar Code Reader(BCR):-Bar Code Reader is generally used in shopping malls,BCR read the bar code and display the rate of item on the computer screen.It is also used to recognised courier products.BCR takes input in the form of code and convert this bar code into computer language(0 or 1). 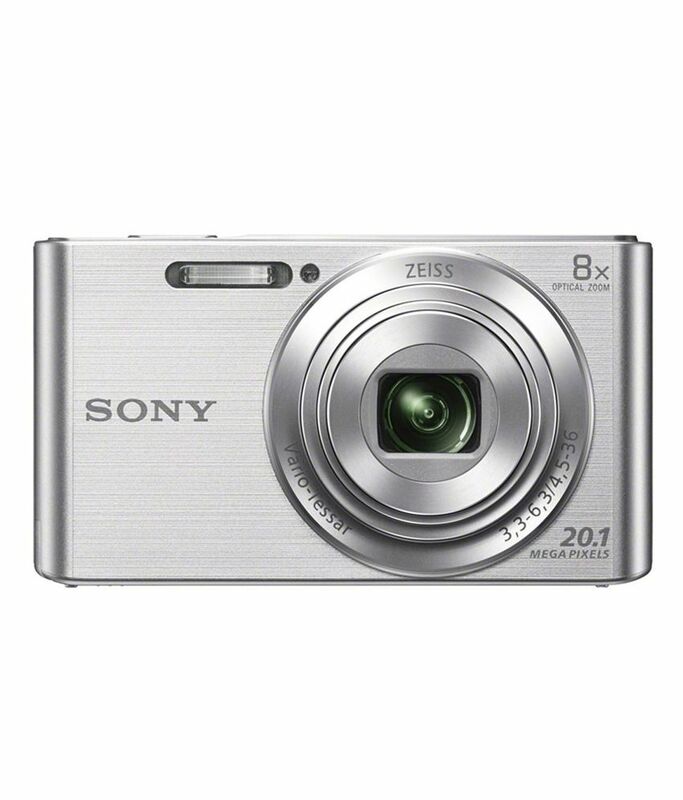 Some other input devices are Light pen,track ball,MICR,web camera,touch screen,microphones etc. 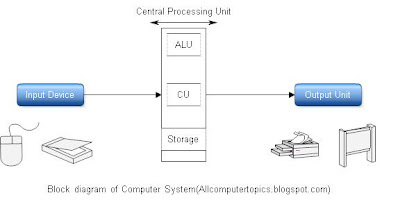 Another important component/functional part of CPU is Control unit.CU control all devices which are used in computer system whether it are input devices(like mouse,keyboard etc. 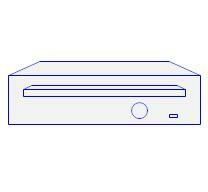 ),output devices(like printer,plotter etc.) etc.It also control the flow of data from one machine to another machine. Fetch Phase:-In Fetch phase,SC=0,AR<--Pc,IR<--M[AR] then PC<--PC+1. Decode Phase:-In decode phase we decode operation code and perform AR<--IR and I<--IR operations. Decision Phase:-In decision phase we decide where the instruction goes. Execute Phase:-In this phase we execute instructions. That's all about Control Unit in CPU and its programs,if you have any query then leave your comments and don't forgot to follow me on Google+,Facebook,Twitter. ALU stands for Arithmetic Logical Unit which is one of the most important functional component of CPU(Central Processing Unit).ALU is made up of circuit,registers etc.ALU perform all arithmetic operation as well as all logical operations.Arithmetic operations/functions like +(Addition),-(Subtraction),*(Multiplication),%(Division) etc. and logical operations like >(greater than),<(less than),>=(greater than equal to),<=(less than equal to) etc. Apart from these Arithmetic Logical Unit also performs Boolean functions like AND,OR,NOT. The speed or we can say the performance of ALU components are very fast,it can perform task in very short duration of time. Arithmetic Logical Unit contains circuit that perform arithmetic and logical operations. 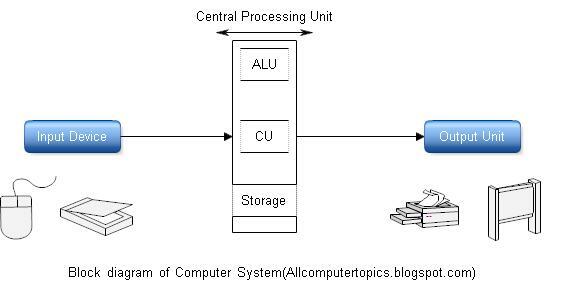 Central Processing Unit(CPU) is one of the most important part/component of computer.CPU is also called as the brain or heart or Mastermind of computer system.Central Processing Unit follows the instructions of the computer(which is given by us) and perform the specific task. Parts of CPU are also mention in above figure(picture). 1)Arithmetic Logical Unit:-Arithmetic Logical Unit or ALU is the main part of CPU.It perform all arithmetic operation/functions like +(Addition)- (Subtraction),Division(%),Multiplication(*) etc. It also perform all Logical operations like >,<,>= etc. For more help please visits ALU(Full Article). 2)Control Unit:-Control Unit or CU is another important functional part of CPU.It control all the devices which are used in computer system like input,output devices etc. For more help please visits Control Unit(Full Article). 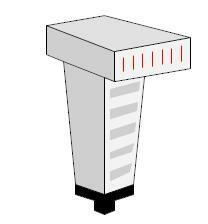 3)Memory Unit:-Memory unit contains the concept of primary memory,secondary memory and the register. 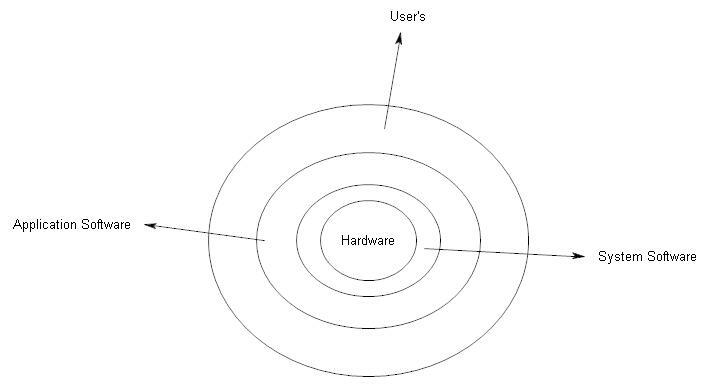 It store the data and instruction which are given by user's.